This page explains face to face data governance training delivered by Nicola Askham, The Data Governance Coach. The public training course consists of two days and you are welcome to join either or both days. The first day is my Getting Started in Data Governance course, which simplifies the concepts you need to understand to design and implement a Data Governance Framework. In addition, everyone who attends this course will get a copy of the actual checklist that I use when helping clients design and implement Data Governance Frameworks. The second day is a Data Governance Clinic. This is a workshop format where you get the opportunity to share the challenges you are experiencing with your Data Governance initiative and get pragmatic solutions. You also get the opportunity to share knowledge, insight and network with others in a similar situation. 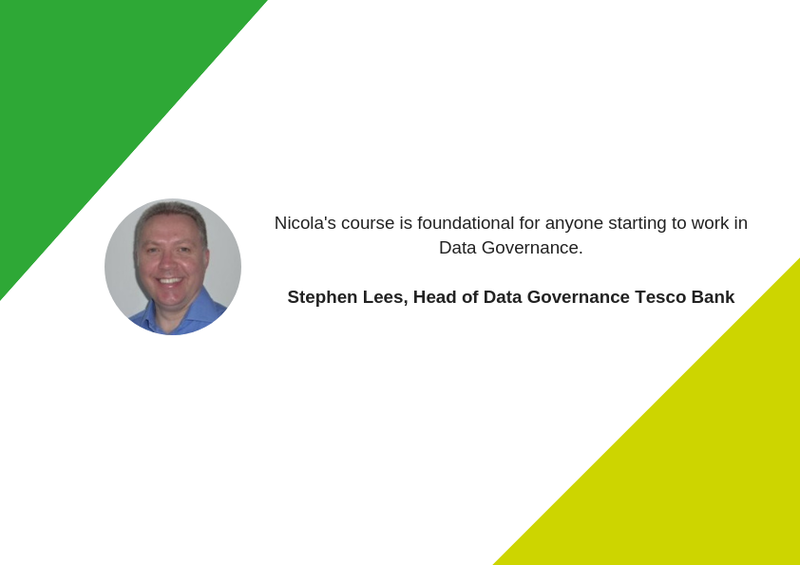 This training is ideal for anyone who is trying to understand and manage data better but not sure where to start, those implementing Data Governance but struggling with the many obstacles and also those who want to validate their approach to Data Governance. 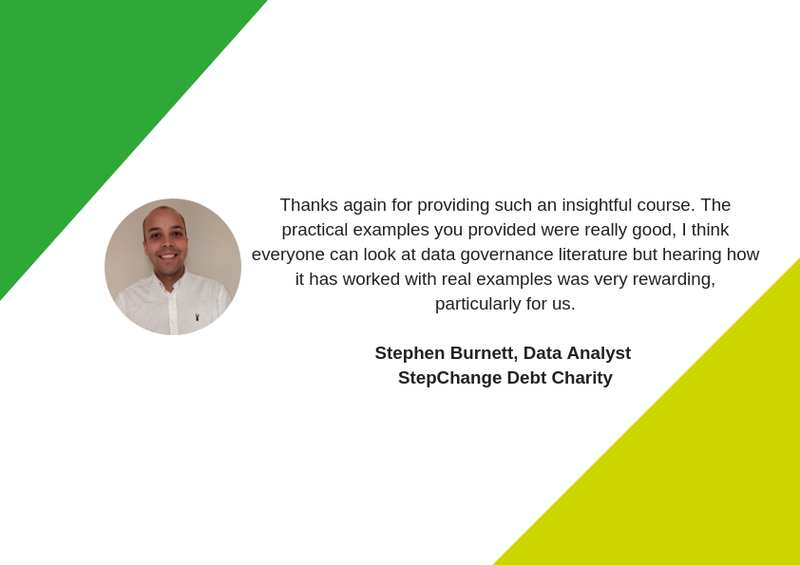 The first day Getting Started in Data Governance course costs £800 + VAT per person. To attend just the second day Data Governance Clinic costs £550 +VAT per person. To attend both days costs £1250 +VAT per person. For a limited time an early bird discount for the courses is available. If you book by the 31st May for the July course, 31st July for the September course and the 30th September for the November course you will receive a 20% discount.